* Please don't post icons of spoilery [less than two weeks old/previews/future covers] stuff, or of NSFW stuff as a teaser icon. 75 icons. X-Men, Excalibur, Thor, misc Marvel. 45 icons of 80s-era mutant teen girls. X-Men, New Mutants, X-Factor, Fallen Angels, and Firestar miniseries. Interested in icon-making friends? Join our 2019 friending meme! 12 comics icons (Scarlet Witch vol. 2, New Mutants vol. 1) out of 20. 15 black & white New Mutants icons, over here. 45 icons from Kaja Foglio's comic of "The Cat on the Dovrefjell," over here. Jean Grey, Rachel Summers, the Phoenix Force, and others! Guest-starring characters from Scott Summers to Darkseid. Mostly from Claremont-era X-Men and the first volume of Excalibur, with a smattering of X-Factor and later titles. 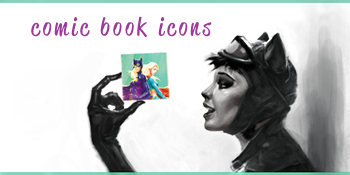 10 X-Men icons in my multifandom post over here, including two gif icons.